Joan here! I took Tanya out for her birthday last month and since she’s never had tsukemen, I thought I’d take her to some place we both haven’t been. 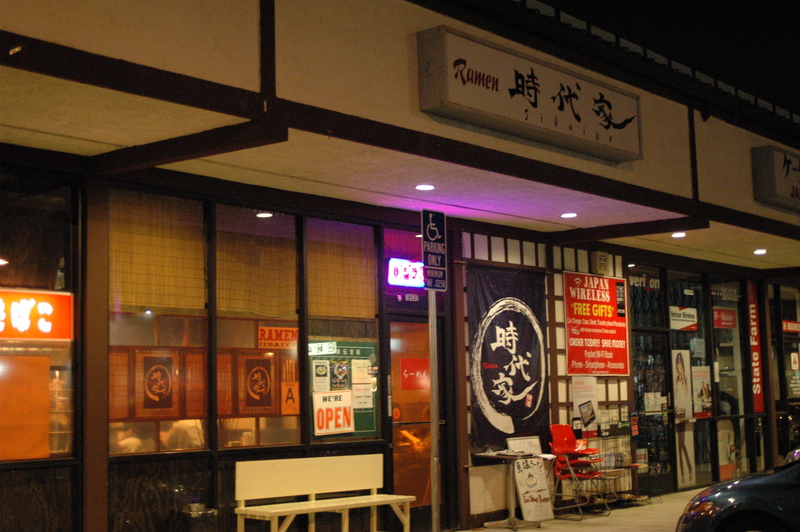 A friend sent me an article about the 7 best LA ramen shops with tsukemen and Ramen Jidaiya in Torrance was ranked second. Joan: I guess the guy was implying that he didn’t want us to get fat? 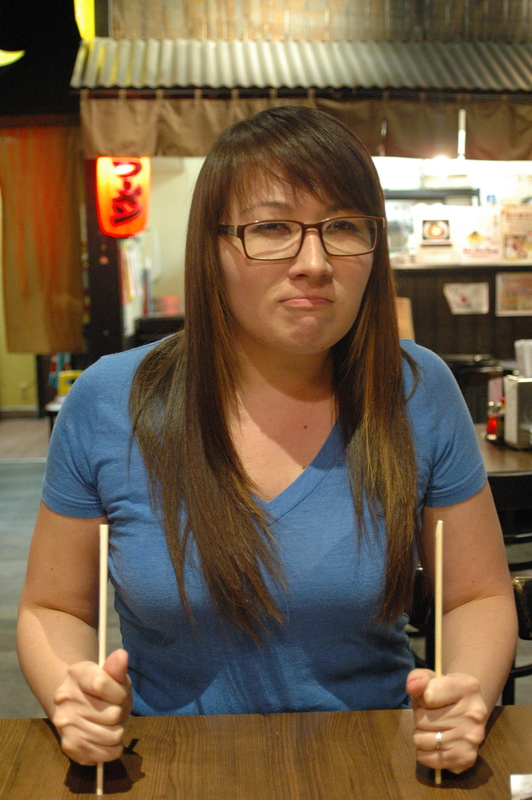 Tanya: I ordered my very first bowl of tsukemen. I was pretty excited. Unfortunately it’s not my cup of tea….. well, bowl of broth, so to speak. It had fish in it. I believe it was tuna. I am not a fan of the mix of fish and pork, I would have to say this was the first time I didn’t finish my bowl of ramen. I would say it would be tasty. It wasn’t salty, it was well seasoned and the right texture to coat the noodles to the right proportion. The curly noodles were great. A tad on the thicker side, which was a good thing. It made it easy to dip the noodles into the broth. The egg had a good flavor, the yolk was pretty soft. I liked the garnish, I always liked nori on the side and the sprouts added a nice touch. The pork slices were ok. I felt like the texture was uneven with the fat and the tough meat. 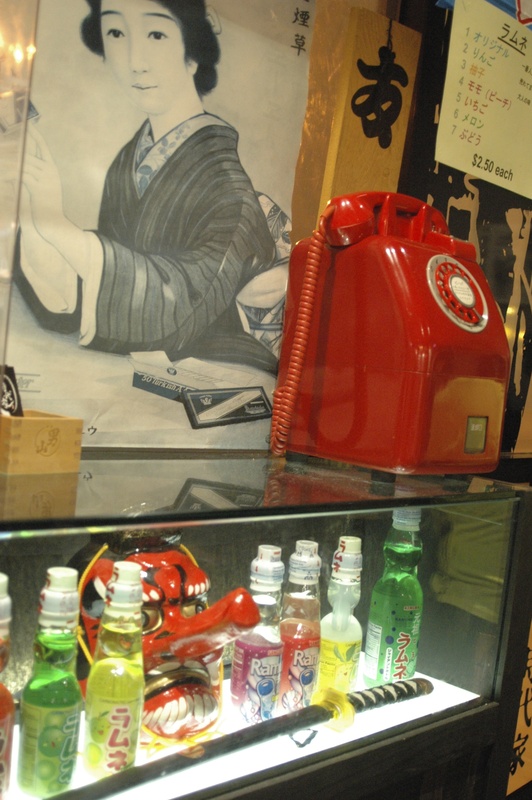 Over all, I really liked the feel of the shop. 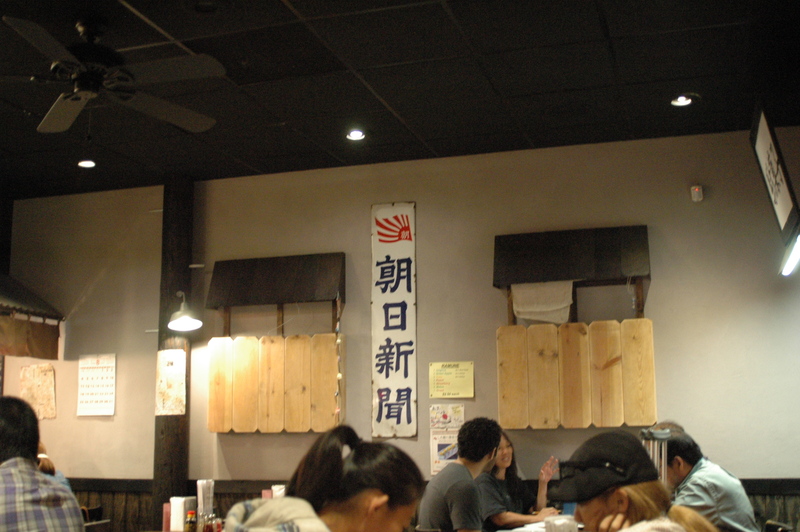 It reminded me a lot of the Daikokuya in Hacienda Heights. The service could use a little work on manners but I liked the place over all. I would just choose something else off the menu next time. Joan: Tanya pretty much took the words out of my mouth. Except, I actually liked my tsukemen. I didn’t mind the broth because it had an overall tonkotsu flavor but with just a hint of the tuna. Everything else about it was cooked perfectly; the noodles, broth seasoning with a thick consistency, the half-boiled egg, although the chashu was not that memorable. 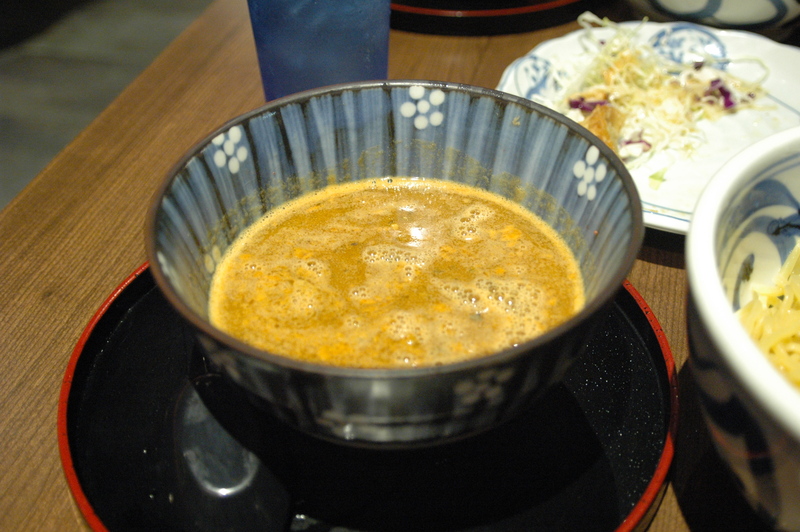 There were also little pieces of grilled tuna in the broth which I actually enjoyed. There was a group of people that ordered the regular ramen bowls and it smelled so good from across the room, it almost made me want to eat again! 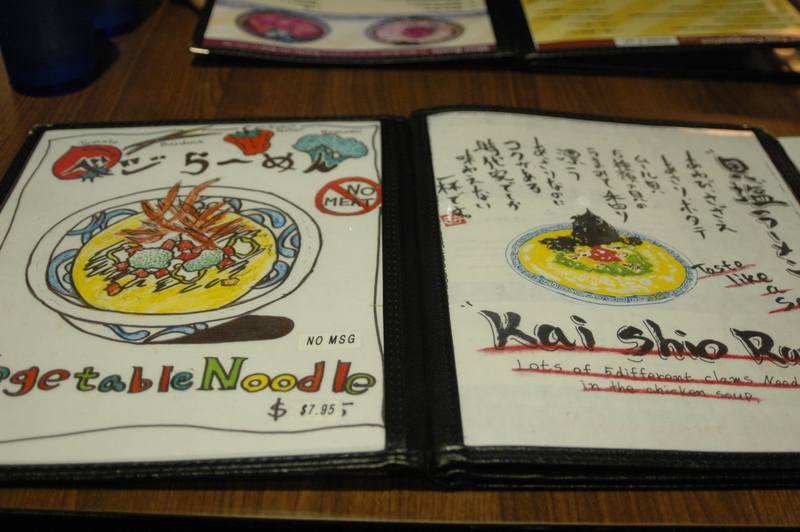 I would definitely come back here to try their other ramen dishes. 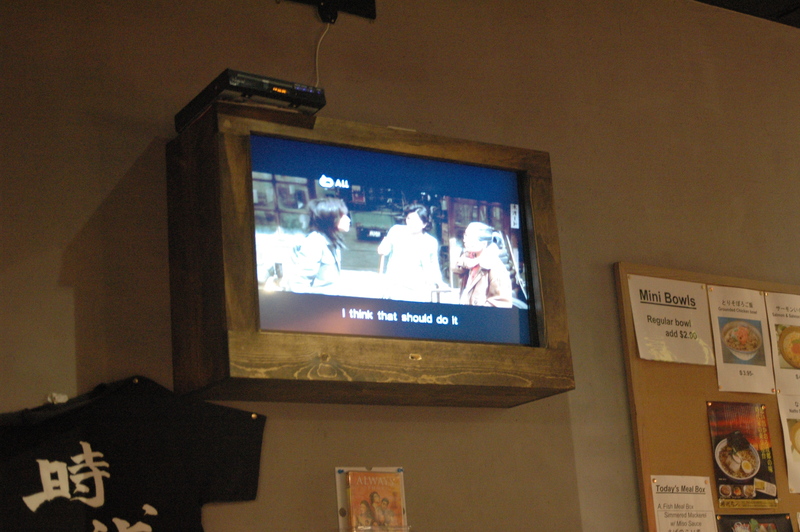 The restaurant was fairly large for a ramen shop but it had a cozy feel with the dim lighting, wooden decor, funky items, and random movie posters. And I agree with Tanya, the service could use a little improvement on manners, but they were overall attentive. Joan: I’m glad Tanya and I were able to try some place new together for her birthday. Unfortunately her first tsukemen experience wasn’t as good, but eventually I’ll take her to some of the tsukemen places out in West LA. Sometimes its tough for the two of us to get together for ramen, but somehow, we always make it happen! And what kind of ramen girl would she be if she didn’t have ramen for her birthday?! 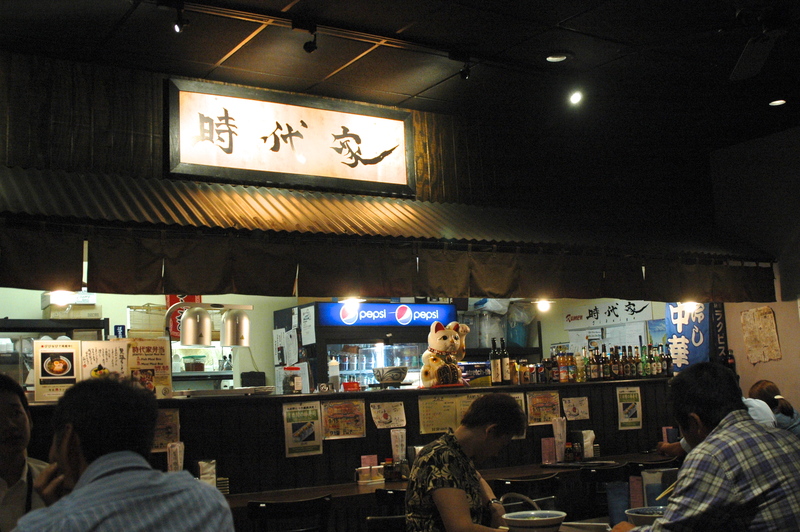 The restaurant is located in a shopping complex with parking. I’m not sure how busy it gets around here but there was a good amount of parking available. 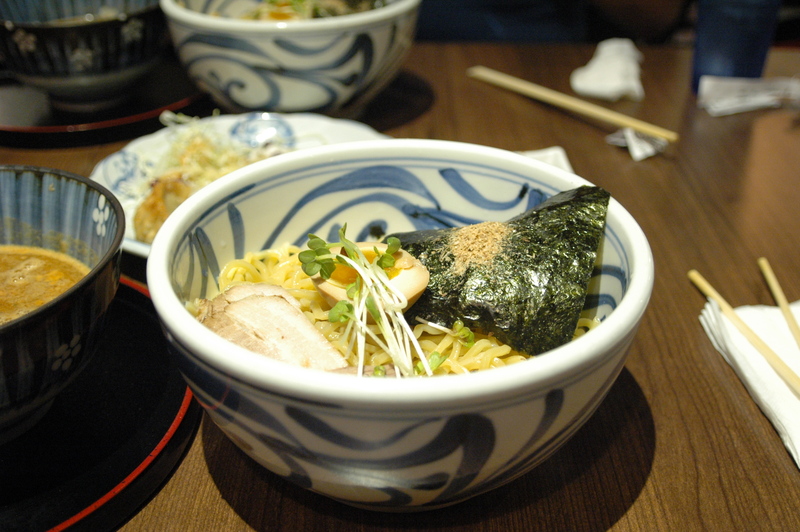 This entry was posted in Food, Ramen, Ramen Run, Restaurant Review, Tsukemen. Bookmark the permalink.